"I'm certainly going to be on edge when I'm on campus in the next few days." 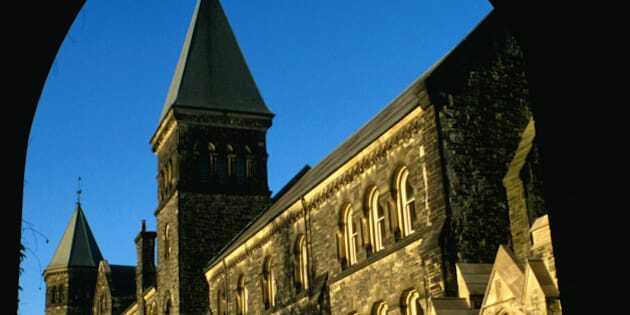 Women at the University of Toronto are on high alert after someone made violent online threats about shooting feminists on campus. The University of Toronto warned its students, faculty and staff about the threats on Thursday and said it's working with the Toronto Police Service and Peel Regional Police to find out who is behind the anonymous threats, made by someone using the screen name "KillFeminists." Meanwhile, campus enforcement have increased their patrols, the university said. "We take these threats very seriously and want to ensure that we have a safe campus community," U of T said in its memo. Toronto police confirmed they're aware of the anonymous threats, which were made several days ago, and have assigned a detective to the case. Marianna Reis, a PhD candidate in anthropology who also works as a teaching assistant, said she always takes some added precautions as a woman but will now be even more vigilant. "I'm certainly going to be on edge when I'm on campus in the next few days," she said, adding she plans to reschedule an upcoming meeting to an off-campus location. Reis added while she understands U of T didn't want to cause too much alarm, it should have been more explicit about the graphic nature of the threats and about whom they target. Instead, she said, she read the threats for herself in a Reddit thread online. CUPE Local 3902, the union that represents thousands of workers at U of T, pointed out the threats target its members in their workplace — specifically those who lead sociology and women's studies classes. "The wording and content of the threats are beyond abhorrent," said 3902 Chair Ryan Culpepper in a memo to union members. "All members, but especially those who identify as women and those who work in the named Departments, should be aware and careful, and of course all of us should look out for one another." Anyone who spots suspicious activity on campus is urged to contact police or campus patrol.